Texas Biker Radio - TBR News Comment - May We Keep Hillary Where She's At? 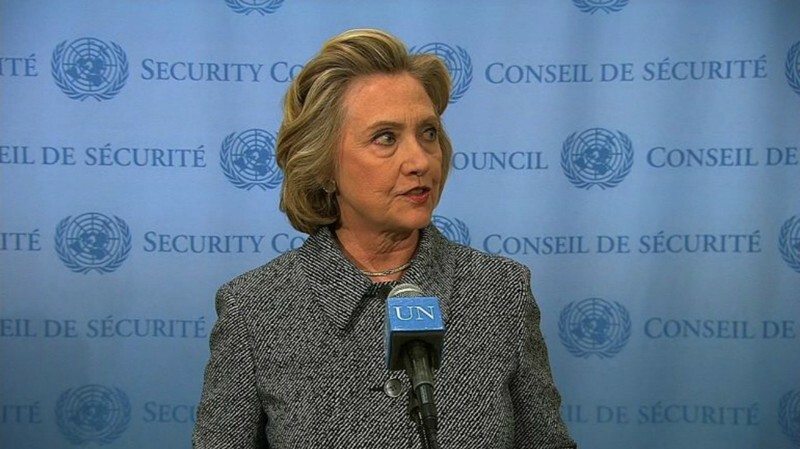 Hillary shows up at her UN Email News Conference looking like she hasn't slept in a week. She had bags under her eyes and looked old. No wonder her handlers have had her out of site. Maybe it's her I got caught Face and she's just mad. Her news conference was a media nightmare. The first question went to a Turkish reporter who threw a softball question, he was an obvious plant by her staff and they controlled most of it. Hillary went on to explain her emails not released were personal stuff about Chelsea’s wedding, her mother’s funeral and email correspondences with Bill. Turns out just hours before Bills staff said he’s sent 2 emails in his entire life, both when he was president. “AH OH”! Caught again Hillary! You only have to go back in time to figure it all out. She explains it all to Jim Lehrer on a PBS interview. PBS host Jim Lehrer asked “Are you keeping a diary, you keep good notes of what’s happening?” then-first lady Hillary Clinton laughed as she answered, “Heavens no! It gets subpoenaed! I can’t write anything down (or use government servers). It’s all about secrecy and deniability. They are masters at it and they’ve been getting away with it for decades. If the American media were doing their jobs and not being progressive lap dogs this would have been exposed much much sooner. The American people has the right to know that their leaders are not crooks and even worse not traitors. When are we going to have enough of this crap? We have a right to see all her emails since a pattern of secrecy and outright lies has been discovered. Deaths of people and nations happened during her state department watch. Not only that, she and her husband globe trotted collecting billions of dollars from foreign nations, muslims and communist despots around the world while she was in office. This was influence peddling and back room deals. We have a right to her emails since she operated outside of government servers. Like everything else with progressives there is no accountability, there is no transparency. Which was another lie. Watergate was child's play compared to this and Richard Nixon was run out of office over it. Maybe this time their arrogance has caught up with them? Time will tell because this is not going away soon. This will linger on into 2016 for sure. Maybe we should hope Hillary remains the progressive’s candidate, they’ll try to weather the storm. Many say the progressives will do just that. They think women will vote for her regardless, blacks will in spite of illegals going to the front of the job lines. The fact is any progressive woman or man will be an extension of what we've had with Obama. We are going to give women more credit than that. They are not stupid….